hd00:30Summer beautiful Pacific ocean waves rocky point. Pacific Ocean waves against rocks and sand beach. Coastal California ocean beach, cliff and beautiful scenery. Blue water and waves crashing rocks. hd00:14Central Coast California. 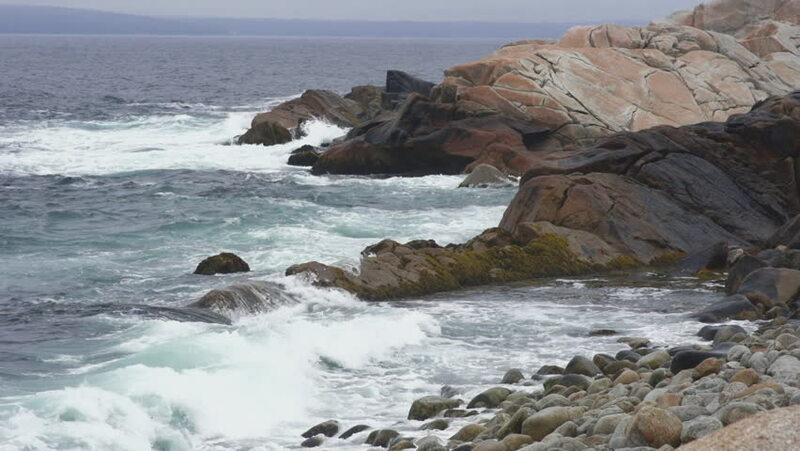 Shot near Big Sur in May, 2011.
hd00:47Slow-motion waves from the Atlantic Ocean break and crash over the large rocks of a rugged Nova Scotia coastline on a stormy day in St Margarets's Bay (near famous Peggy's Cove).